Do any research on marketing these days, and social media will appear in the search engine results page. Connecting with leads and promoting your brand on social media no longer falls in the “it may be a good idea” column. It's a requirement for today's marketers! In addition to social media posts designed with your audience in mind, you should set up a free LinkedIn Company Page to share news, industry articles and thought leadership pieces. Next, you should use LinkedIn’s InMail messaging tool to establish new connections and relationships. Here’s how to use LinkedIn InMail for B2B in a powerful and effective manner. If you’ve only used LinkedIn messaging to communicate with close connections, the idea of using the tool to reach out to new prospects can seem overwhelming. Fortunately, LinkedIn offers Sponsored InMail, an easy and affordable way to get your personalized content in front of the right audience. Sponsored InMail allows you to customize audience demographics by choosing a geographic region, people from a specific company or industry, company size, job type or seniority level, degrees, and years of experience. Your goal is to target the decision makers who, once their interest in your product or service is piqued, can eventually be converted into clients. Short of interacting with high-level decision makers, you want to reach their influencers. In addition to LinkedIn’s demographic-based targeting tool, you can also utilize your company’s own data to choose the most appropriate audience. Data gleaned from your customer relationship management platform (CRM) is extremely helpful, as you can compile a list of old prospects or former customers who left, never to return. Get creative in using contact lists as well. You no doubt have the email addresses of people who have downloaded white papers or reports from your website. This provides an excellent opportunity to target those audiences based on the topic in which they’ve displayed interest. With this in mind, you can tailor your content to help move them from a mildly interested lead into a bona fide customer. Once you’ve got your audience lined up comes the tough part: crafting a message that will matter to the reader. First of all, avoid the temptation to send out a batch of identical messages. As the owner of a small business, you’ve got a lot on your plate. That’s why ABC Cybersecurity Solutions worries about digital threats – so you don’t have to! Contact us to learn more about how we can help you protect your data. People hate being the target of bulk mail campaigns, and they hate feeling as though they’re being sold to. One of the most effective ways of utilizing LinkedIn InMail for B2B is to use it to make a human connection. You can do this by personalizing each message, even if the gist is the same for each one. I’m the CEO of ABC Cybersecurity Solutions. We specialize in helping businesses of all sizes navigate their digital journey in a safe and effective manner. As a fellow business owner, I hope you found our article on small business cybersecurity threats to be helpful. I’d love to talk with you about how our team can help your company put processes in place to protect your electronic assets and sensitive data. Remember to keep it short (InMails with a body text of fewer than 500 characters have a 46 percent higher click-through rate), direct, and relevant. 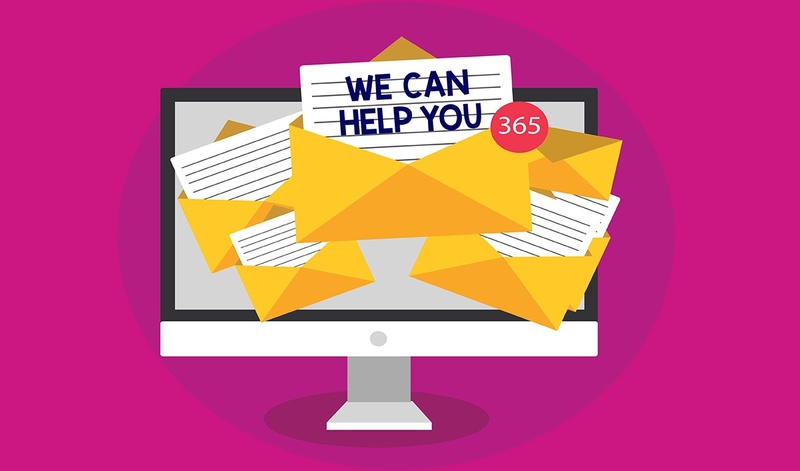 As with any marketing campaign, you’ll be able to test various subject lines, tones, and topics to see what strikes a chord with your audience. As you hit the right pace, you’ll soon find that LinkedIn InMail for B2B marketing is a valuable addition to your quest for qualified leads. Need help with LinkedIn InMail for B2B? Contact us today!